If you are a whatsmartwomenread.com follower, then you know that we are immersed in a heavy duty line-up of international novels. Our last book, Fiasco by Irme Kertesz, was an extremely challenging read, and we had to remind ourselves that we picked it! In any event, we are about half way through our demanding 2012-2013 season, and we all agree that the hard work is worthwhile. Next up is The Messenger by Yannick Haenel. Stay tuned for our comments on this French novel about Jan Karski, the young Polish diplomat who joined the underground after escaping from a Soviet detention camp in 1939. In the meantime, we thought we’d share something fun and a bit lighter. 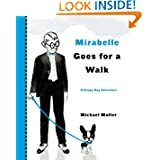 We attended an unusual author event on Saturday where we met a real star–Mirabelle–the main character of a delightful series of children’s books. We were the only adults without small children, but we had a wonderful time. 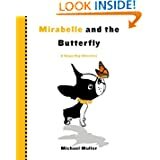 The children who attended went crazy over Mirabelle and enjoyed listening to the author read these delightful stories. 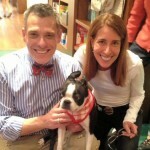 A Boston Terrier, like the mascot of our site, we absolutely fell in love with her and her books. The author and illustrator is the talented Michael Muller. He and Mirabelle began their lives together in 2006. 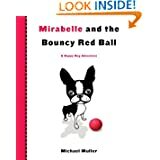 They live in Washington, D.C., and online at www.adventuresofmirabelle.com. Michael and I had such a great time meeting you and your family at Books & Books this past weekend. Thanks for coming out to see Miss Mirabelle and for your support and encouragement. We also appreciate very much your blog post about the event. Take care and all the best. Keep in touch!